After a weekend snow, the sidewalk on Crestwood Drive in Swanton remained snowcovered on Wednesday morning. Winter is now in full effect in northwest Ohio, and area police agencies are reminding residents of their responsibilities. Swanton Police Chief Adam Berg noted a fine up to $100 if sidewalks aren’t cleared within 24 hours of snow accumulation. If village crews are forced to clear a sidewalk the resident will be charged for the work. To his knowledge, however, people are generally mindful of their responsibility and no one has been cited. “Usually, we give them a courtesy visit” if the snow isn’t cleared, Berg said. Swanton residents who shovel their sidewalks and throw the snow onto the road can receive a court date and a fine of up to $100. The chief said the village doesn’t have a current ordinance against throwing snow onto the road, but can probably use an old ordinance prohibiting the encumbrance of sidewalks and roadways. The village can also charge people under a statute in the Ohio Revised Code. But, “Usually, we just let the resident know they can’t do it,” Berg said. He said many residents probably aren’t aware the village doesn’t enforce snow emergency levels within its limits. As a rule, they usually follow the county’s lead. “It’s a good rule of thumb,” Berg said. He emphasized his point by citing three accidents in the village during a snowfall Jan. 12, when emergency levels weren’t even issued in Fulton County. Delta Administrator Brad Peebles sets snow emergency levels for the village, but basically goes by the county’s rules. A village ordinance states an emergency exists following a snow accumulation of two or more inches. No parking is permitted on village streets for the next 24 hours or until snow is cleared. Vehicles remaining on the street are subject to being towed at the owner’s expense. Police Chief Nathan Hartsock said a Level 3 emergency in Delta means cruising around during it is a minor misdemeanor offense that can cost the driver an arrest and a $150 fine. The charge is operation on a closed roadway. 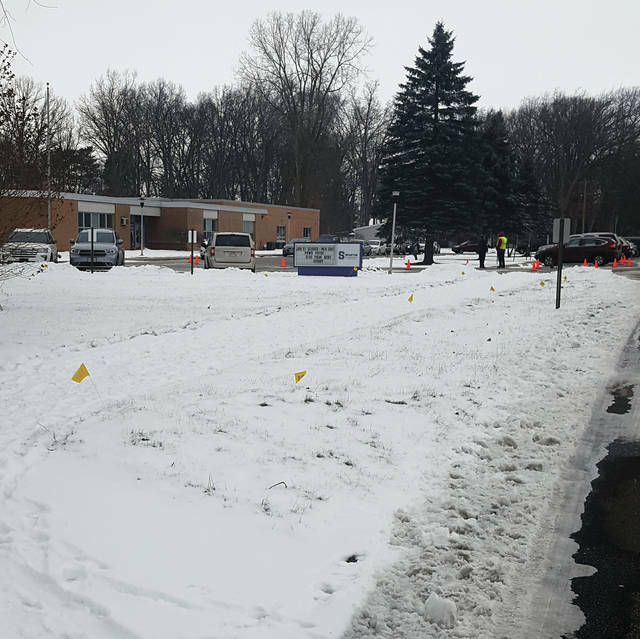 Remarkably, Hartsock said, each winter the police department receives calls from residents asking for permission to drive in Level 3 conditions. Often, the reasoning is that they can’t miss work. “I can’t give somebody permission to break the law. You need to make that determination and risk getting a citation,” Hartsock said. Sidewalks must be cleared by Delta residents within 36 hours of a snowfall or they chance a minor misdemeanor charge.